"the story of a hard-charging, no-nonsense businesswoman who excelled in a male-dominated profession decades before gender imbalance in the restaurant industry became a hot issue." "A highly entertaining and well-made documentary." 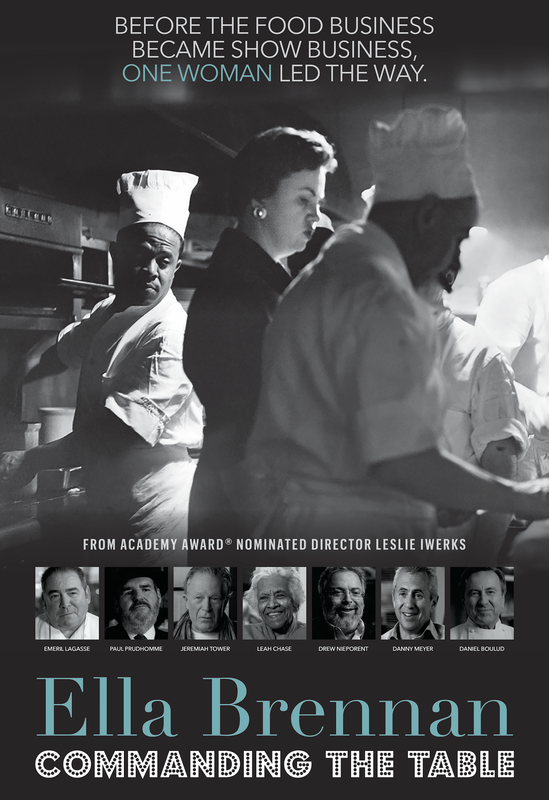 Oscar-nominated filmmaker Leslie Iwerks brings the Ella Brennan's remarkable story to the screen showing how she became a leading force in the contemporary restaurant business despite the challenges of being a woman in a male dominated field. With the success of New Orleans iconic establishment Commander's Palace, restaurateurs and chefs from around the world and all walks of life credit the important role Ella has played in building and enhancing American cooking and hospitality. With interviews with current and former chef including Emeril Lagasse, Danny Meyer, Tim and Nina Zagat, Daniel Boulud, Jeremiah Tower, and many more. Before the food business became show business, one woman led the way.